My Handibot is having issues with cutting parallel lines. It will skew the lines so that a standard rectangle turns into an irregular parallelogram. I have several pictures attached showing the issue as well as the sbp file. 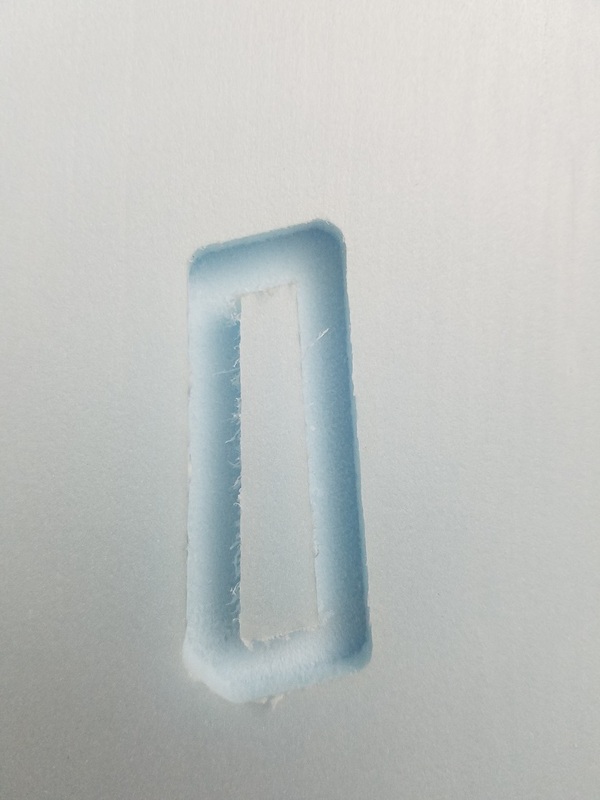 I cut a test piece with a simple rectangle to easily show the issue. I am using VCarve Pro and the Profile/Outside toolpath option. 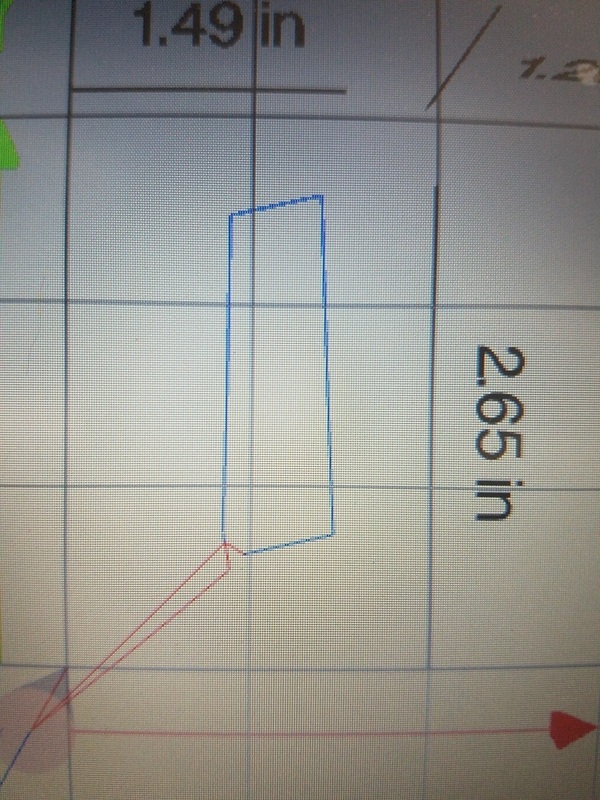 1: Picture of the simple rectangle vector on the VCarve software. Picture of the toolpath in VCarve and the preview of the toolpath. Note that VCarve expects a perfect rectangle to be cut. Now I go to the Handibot and load the sbp file. 2: When I click the "Preview Job" icon this window pops up. "Be careful, some issues appear in this file. 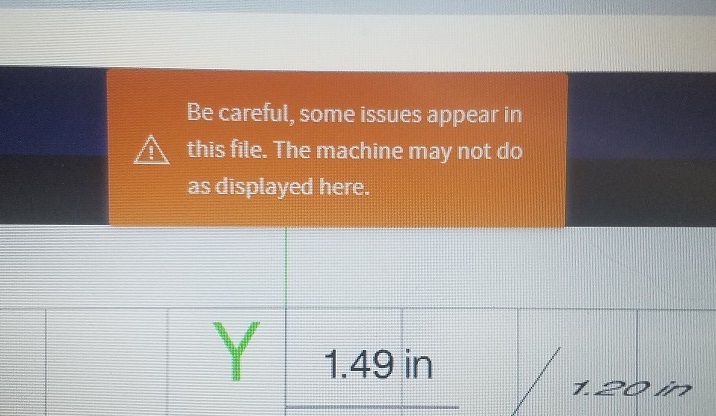 The machine may not do as displayed here." 3: This is the preview of the toolpath in Handibot. This is where you see the issue arising. It is clearly not cutting a perfect rectangle and is instead skewing every line. The beginning and end of the toolpath don't even meet up together. 4: This is the picture of what Handibot cut out of the blue foam I use for testing. Here are the specifics of my software and firmware. Just to be sure, I'll mention what I have for the drivers. We played around with these values to try to get the rotary axis to work. However, I am pretty sure we put everything back to what it was. Channel 1 is X, 2 is Y, and 3 is Z. Direction is Normal and Unit Value is 4000 for each. It doesn't look like there is anything wrong with your file. It reads correctly--the old ShopBot simulator shows the curves--and the handibot I have on my desk here simulates it correctly. The only difference between my handibot and yours is that mine is on version 1.7.2 of FabMo (our most recent release). not so much because I think that it is an issue with the software version--but that I think the process of updating will correct whatever setting has gone awry on your tool.